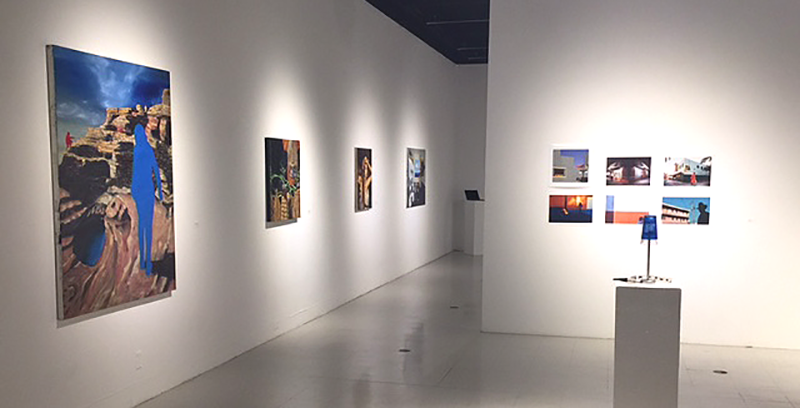 The School of Art + Design at SDSU will present its nineteenth annual juried exhibition of upper division and graduate student artwork as nominated by full time faculty. 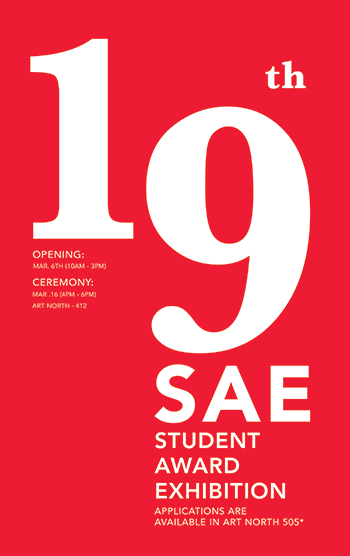 Accepted artwork will be on display for public viewing at the University Gallery, March 6-March 18. The awards ceremony and reception is open to the public and will take place on March 16, 2017. The Student Award Exhibition began in spring 1999 to demonstrate the University’s support of artistic excellence and diversity in student artwork. Monday – Friday 10:00 A.M. – 3:00 P.M.
Saturday, March 18, 9:00 A.M. – 2:00 P.M.